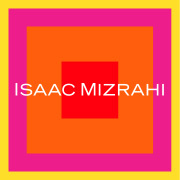 Da Greasy Guide: Worldwide: Isaac Mizrahi Show Taping today 2pm. The Isaac Mizrahi Show is looking for audience members for this Thursday (Nov 10th) at 2pm. The show is a fashion-oriented talk show- we have all sorts of audience makeovers (sometimes giveaways), celebrity guests, chefs, and fashion advice! Last week we gave away a cruise to one of our audience members, and earlier this week we gave away a $2,000 gift certificate to a spa. The studio is located at 501 W. 36th St (between 10th & 11th ave). Arrive at 2:00pm on Nov 10th (this Thursday- no later than 2:30pm) if you'd like to attend a free taping. Everyone that comes will also get free VIP tickets to the Daily Show with Jon Stewart for a show date after the new year. Please print out this letter and bring it with you if you'd like to attend. Tickets are free.